My surprise arose from my attendance at a 2018 community meeting on TOH, when we were told by the city that the developers, Flaherty and Collins, had dropped the “nationally branded or boutique hotel” and office space from their original proposal submitted to the city, which formed part of their being chosen to develop this city property. I was disappointed to see FutureHeights support the Top of the Hill (TOH) project in light of the current design. While I agree with FutureHeights on many points, and give the site plan an “A,” the TIF funding a “B” and the parking plan a “B-,“ I feel the design is so poor that it warrants a “D” and support should be withheld until a better one is presented. The current design fails Cleveland Heights on multiple levels, both in process and appearance. The new year is all about fresh starts. A recent change in Ohio law means that more people are now eligible to have their criminal records sealed. Effective Oct. 29, 2018, the definition of “eligible offender” changed and is now much broader. In Ohio, an adult criminal record can be sealed so that the conviction or criminal charge is filed separately from a person’s record. However, the record can never be completely erased. It is still available to some; for instance, judges, law enforcement, certain employers (such as schools), and most professional licensing boards can gain access to the sealed record, but most employers, landlords, and the public cannot see the record. One of our readers alerted Heights Observer staff to the fact that in publishing a letter by Richard Bozic ["Top of the Hill design should reflect Cedar Fairmount style"] in the December issue, we failed to disclose that he was "a (very recent) former chair of the CH Architectural Board of Review." We were unaware of that, and confirmed with Bozic that he was indeed a former member who "left the board at the end of 2016, almost 2 years ago . . . (and) was the chairman in 2016." The sign in front of Forest Hill Presbyterian Church that proclaims “See, I am doing a new thing!” refers to the hiring of the Rev. Veronica Goines as the church's first African-American co-pastor. The story of this historic call started in 2010, when a horrifying racial incident threatened one of the church’s young members. The young man, soliciting money for his football team, was searched at gunpoint by Pepper Pike police after a 911 caller reported a black youth trying to break into houses with a gun. When church members demanded a public apology, the city of Pepper Pike refused, saying its response would have been the same if the call had been about a white youth with a gun. The problem was, there wouldn’t have been a 911 call if the boy had been white. Only through the lens of implicit bias does a well-dressed, respectful and respectable young man with a cell phone, going door-to-door to raise money for his school, become a criminal suspect wielding a gun. When institutions give an unjust amount of resources, rights and political-economic power to white people while denying it to people of color, this is systemic racism. According to sociologist Joe Feagin, white elites and even people of color perpetuate systemic racism. The Cleveland Heights government is such an institution. In 1972, it was revealed that the city had been redlining—limiting black families to homeownership only on the north side of the city. In 1993, city leaders acknowledged it had not invested in that area's infrastructure, housing stock and local business districts, and promised to change its ways. Today, after bearing the brunt of the foreclosure crisis in this city, the north side has yet to experience a change in the city's racist ways. It razes vacant and abandoned property and hopes to attract out-of-town property buyers and developers to build high-density, high-income residential buildings along the “Noble Corridor,” to bring in a more-gentrified class of people and businesses—forget the issues facing the low- to moderate-income, primarily black, residents currently living there. While having an arts/nonprofit center is a wonderful idea and concept for our community, I don't feel the Coventry School site should be the location for it. A non-property tax generating building is not the highest and best use for this desirable location. It is a site that I presume would have a lot of interest from developers. November is gratitude month. CH-UH school administrators and staff work continuously to bolster the educational experience and academic success of each of their students. While there are always ways to improve, there is also much to celebrate. We want to hear your statements of pride and gratitude about the Cleveland Heights-University Heights public schools. Please go to www.reachingheights.org and complete the “Proud & Grateful” form. These statements will be compiled and shared on the Reaching Heights website, our Facebook page, and other media, to spread positive statements about the accomplishments of the students and staff of the CH-UH public schools. Opinion: CDC: what does it stand for? I would expect that when most folks think of what “CDC” stands for, they would think of Centers for Disease Control. But, for many of us who have had the opportunity to enjoy life in an established urban neighborhood, our response might more likely be “community development corporation” (CDC). So, what is a CDC, and why do we care? Well, as the name suggests, the word “community” indicates a gathering and engagement of people with a common agenda or purpose—in this case, improving a place by taking action to remove or prevent deterioration, blight and decline. The Cleveland Heights-University Heights City School District has a tiger as the district mascot and is known as Tiger Nation. Current and past students and school staff are fondly known as Heights Tigers. Are you a Heights Tiger, too? If you live within the Cleveland Heights-University Heights City School District, your property taxes fund the public schools. You are a Heights Tiger. If you work for or own a business within the CH-UH school district, your business taxes support our public schools. You are a Heights Tiger, too. After 10 years of watching the alarming rise of vacant foreclosures in Forest Hill, I can no longer stomach our homeowners’ association’s (HOA) excuses for inaction. Anybody who lives in Forest Hill sees the vacant houses that sit and rot, impacting our quality of life and property values. If our HOA is “nurturing the historic serenity of this area” as it claims, why is it ignoring the eyesores at 1024 and 1315 Hereford Road, 15780 Cleviden Road, 15472 Brewster Road, 1400 Forest Hills Blvd., and 3045 Monticello Blvd.? Each of us is passionate about our community and committed to sharing the story of what makes Cleveland Heights such a wonderful place [in which] to live, work, eat, shop and play. Developing clear messaging and engaging graphics will help shape our conversation and enhance our ability to clearly communicate who Cleveland Heights is and what it offers. The city made the strategic decision to invest in discovering and defining the brand of Cleveland Heights and establishing new tools and resources to help effectively promote the city brand to others. A brand is much more than a logo or tag line. It is the DNA of the city and speaks to what Cleveland Heights stands for and what it offers visitors, business owners and residents alike. By discovering and defining the brand, the foundation for tools and resources will be developed to help us effectively promote this unique community to prospective residents and businesses, current residents and visitors. A Cleveland Heights property manager sued its client to recover management fees but the strategy backfired. Municipal Court Magistrate Gary Benjamin found that the property manager had breached its own property management agreement and rejected the company’s claim for compensation. Instead, the magistrate awarded damages to the property owner on his counterclaim. The property manager, Transnational Property Investments, manages more than 350 properties out of its office on Fairmount Boulevard. A July 2016 property management agreement provided that Transnational would rent and manage a duplex in Cleveland owned by Rodolfo Encinas, a California resident. The agreement was terminated in October 2017 after both units had been vacant for ten months. Few places have as much potential for attractive residency as the racially and culturally vibrant Heights suburbs east of Cleveland. Yet, like most aging suburban communities in mid-western states, these suburbs are confronting the residue of disruptive, predatory home sales and financing practices along with persistent middle-income wage stagnation. Although recovery is evident in upscale neighborhoods, reported data shows ordinary legacy neighborhoods still face dire realities. Over the past months, I have had a keen interest and emerging sense of civic responsibility to become involved with the discussion regarding Cleveland Heights’ charter review. I have found myself reading articles, letters, attending the public meeting, and sitting thru two sessions of the Charter Review Commission (CRC). I even felt compelled to express myself in various CRC meetings and forums. My career has provided me the opportunity to work in the public sector in an appointed executive position, and as the owner and director of a professional business. I have met and dealt with many important people—even some considered powerful—these last 40 years, and have discovered a great deal about leadership. The lesson I have learned, which I found of the greatest importance, is that leadership is not defined by a job title; it must be earned. Other than the azaleas and blossoming trees in Forest Hill, the best thing here is the homeowners association, regardless of what has been said in an ongoing dialogue. The "fuss" has been the private crusade of less than six people. Neighborhoods will always have "cranks," but ours has been extremely aggressive. Since the 1950s, the association has nurtured the historic serenity of this area. For Greater Clevelanders, it has been the best and the worst of times depending on the neighborhood you live in. Destination neighborhoods like Cedar Fairmount and Tremont are thriving with increased property values and the buzz of restaurants and retail. Forest Hill as a neighborhood once enjoyed this status. No more. Now it is lumped into a collection of neighborhoods many call “north of Mayfield.” Instead of buzz, there is the ghost town called Severance Town Center and the only restaurants are fast food. Retail consists of Walgreen’s and The Dollar Store. Forest Hill is at a crossroads. We can look west and connect to the vibrancy of Little Italy and University Circle. Or continue to plod along and stagnate. That's not the only genetic brain disorder. I've been hearing from more and more people who’ve been diagnosed with bipolar disorder. People diagnosed can suffer from uncontrolled mood changes, on the spectrum of depression to mania. On or before the last day of March each year, municipal courts throughout Ohio submit a report of their operations during the preceding calendar year to the legislative authority and to the board of county commissioners of each county within their territory. The report shows the work performed by the court; a statement of receipts and expenditures of the civil and criminal branches; the number of cases heard, decided, and settled; and any other data that the supreme court, the secretary of state, the legislative authority, and the board of county commissioners requires. As I prepared the data for the report for 2017, which occurred before I took office, I found myself reflecting on the first two and a half months that I have been in office. Let me begin by stating that it is an honor to serve Cleveland Heights as its judge. It has at times been trying, for example, setting bail for an accused who is pulled over and allegedly found to have a small amount of drugs, but also a loaded, unlicensed, semi-automatic handgun in the vehicle. The preeminent purpose of bail is to ensure that an accused appears at all stages of the criminal proceedings. It is also necessary to take into consideration the potential danger to the community of the accused. All this has to occur while affording the greatest degree of fairness to the accused, who is just that, accused, and innocent until proven guilty. Big Fun is about childhood—revisiting our own, enriching our children’s, and then watching our children discover nostalgia for themselves. Big Fun is about commerce. It’s a tourist attraction in an unlikely place, and an anchor for Coventry Village and Cleveland Heights—reliably drawing more than its fair share of traffic. Its presence has probably enriched other businesses more than it’s enriched the owner, Steve Presser. Big Fun is about community. Steve is everybody’s close friend, whether he knows you or not. I’m not sure he’s ever turned down a reasonable request to support a local cause. I drafted a statement of my opinion and submitted it to the CH Charter Review Commission (CRC). I would encourage everyone write in and let your voice be heard. I have attended two CRC meetings. At one, a resident stood up and said that he didn’t care who the elected council members wanted as mayor; he cared who he, as a voter, wanted as mayor. I thought this simple statement got to the heart of the debate between having a mayor directly elected by the voters as opposed to a “mayor” selected by four of the seven CH council members. Cleveland Heights needs to elect a full-time mayor. Currently, our part-time city council elects a part-time mayor who has no executive power. The city manager (a full-time position) is hired by city council and runs the day-to-day operations of the city. 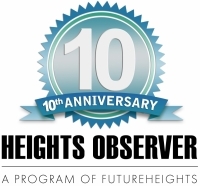 The Heights Observer is not an ordinary newspaper; it is a nonprofit publication for residents of Cleveland Heights and University Heights. The Observer has no writing staff; it is written by you—the readers. Individuals throughout the community decide what stories they want to write, then submit them for publication. Anyone in University Heights or Cleveland Heights is welcome to contribute regularly, occasionally or even just once. I have two adult children that I love more than anything in the world and always have. They went to Cleveland Heights-University Heights public schools and received an imperfect but great education. I worshiped some of their teachers, tolerated others, thought some administrators knew what they were doing and didn’t care for others. All in all, CH-UH schools and my family were a good fit. I never thought about sending them to a different system. Since February, two flags have flown on the steps of Forest Hill Church, Presbyterian, at the intersection of Monticello and Lee boulevards: the “rainbow” flag which celebrating LGBTQ persons, and the green, black and red flag known as the “International African Flag” or the “African-American” flag. Four times since February, the African-American flag has been stolen. Perhaps the flag was taken by a white supremacist. Perhaps some young person, who thought it was a good-looking flag and wanted it for a dorm room or apartment, took it. Or perhaps someone who believed that these two flags should not be in the same space removed it. My earliest memories of Cumberland Pool go back to the middle 1950s. In those days water was fed into the pool with considerable force through two above-ground sculpted lions’ mouths on the pool’s east side. People of a certain age will remember ropes (as in “get off the rope”) at the north and south ends. But before the ropes there were chain-link fences in the pool separating the deeper from shallower water. During the middle and late 1960s I worked as a lifeguard and swimming instructor there. We had rules covering just about everything, mostly dealing with what you could not do or must not bring (food, toys, suntan lotion, training equipment, reading material, and much more) into the pool area. Who remembers having to present your feet for inspection prior to emerging from the locker room? With the November election approaching, the Heights Observer is publishing its policy for contributions by candidates for local office. 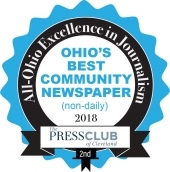 As a community newspaper committed to equal access for everyone, the Observer is unique among publications in providing opportunity for any member of the Cleveland Heights and University Heights communities to raise and discuss issues of local interest. At election time, however, this commitment creates a challenge in managing the finite space that is available for community members who are running for public office. The August-November issues of the printed publication will not carry any editorial contributions from known candidates for office. On April 21, the FutureHeights Board of Directors unanimously and enthusiastically approved a resolution declaring the intent of the organization to become the Community Development Corporation (CDC) for Cleveland Heights. FutureHeights has been in discussion with city leaders about becoming the CDC for more than a year, and feels that now is the time to move forward. Consistent with our name, for 15 years FutureHeights’ mission has been to promote a vibrant and sustainable “future” for Cleveland Heights (and University Heights, since 2008), through innovative ideas and civic engagement. Has the county valued your home accurately for property tax purposes? In other words, does the value comport [compare?] with other properties that have sold on your street? Do you think that your home would sell for the amount at which the county has valued it? 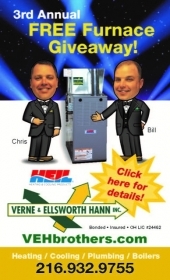 If the county's appraised value seems out of line to you, you are not alone. There seems to be a pattern of overvaluing homes for property tax purposes in Cuyahoga County, and this miscalculation by the county could be costing [homeowners] thousands of dollars. FHHO views its relationship with Cleveland Heights as a strong and productive one. Cleveland Heights has been responsive in assisting FHHO to address non-operational vehicles, broken streetlights and damaged fire hydrants. With the recent recall of East Cleveland’s mayor and city council president, along with that city’s struggles to stay afloat, some residents in the neighborhood of Forest Hill are voicing support to secede from East Cleveland and Cleveland Heights in favor of forming an autonomous municipality, The Village of Forest Hill. These homeowners believe the creation of a self-governing entity is needed to combat the growing number of neglected and abandoned homes that are plummeting property values and contributing to a negative perception of Forest Hill as a neighborhood on the brink. A number of toxic houses, many of which have been vacant for years, continue to blight Forest Hill—a direct result of the 2008 housing crash, foreclosure crisis and incompetent oversight. One of the most egregious examples is the home at 15922 Forest Hill Blvd., in East Cleveland. This eyesore has sat vacant for more than a decade. How often should teachers be evaluated to make sure they are continuing to grow and improve in their job? The state of Ohio does not give us much of choice in CH-UH about how often, or what should be scrutinized, even though we control some aspects of teacher evaluation locally. Teachers must undergo two cycles of observations per year. These cycles make up the teacher-performance part of the evaluation. Each cycle comprises a pre- and post-conference, a full-length lesson, and short walk-throughs. Before the pre-conference, most administrators require the completion of an extensive worksheet as well as a detailed lesson plan. During the pre-conference, teachers must explain what they will be doing and why, how they determined what to do, how students will be grouped, what data supports the differentiation that each student will receive, and on and on and on. In the CH-UH school district, we have six school nurses. The salaries of these individuals have been highly criticized by levy opponents, even though they are on the same pay scale as social workers, counselors and program specialists. The argument has been that we should not have to spend so much for nursing services. It may be helpful [for critics] to know what our school nurses do and what they are responsible for before making assumptions about their worth. Our school nurses have Bachelor of Science degrees in nursing and are registered nurses. More than half hold master’s degrees in education, and all are licensed as school nurses—a rigorous certification with many requirements, including a 300-hour practicum with a licensed school nurse. All district nurses had at least 10 years of experience in nursing before CH-UH hired them. They are responsible for the welfare of every child in our schools, as well as for the adults. Several [opinion] articles in last month’s Observer cited so-called “facts” about the Cleveland Heights-University Heights school levy (Issue 109). We are writing to correct just three of the false or misleading arguments of levy opponents. First, levy opponents love to compare graduation rates from 2006 to today, but they do so in misleading ways. They don’t explain that they're comparing 2006’s five-year graduation rate with today’s four-year rate—and so today’s rate is understandably lower. They omit [mentioning] that, in 2007, the state made the graduation test significantly harder, which lowered graduation rates across Ohio. And they simply ignore that the district's four-year graduation rate has gone up four years in a row to 85.7 percent—much higher than the 83 percent statewide average. Between us, my husband and I have lived in many exciting cities, both in the U.S. and abroad. We are so grateful to have landed in the wonderful community of Cleveland Heights, with all of its richness, diversity, convenience and complexity. Our family has been enriched by our use of the public schools, where we've encountered a community of interesting citizens contributing good to our society. By serving as good neighbors and using the public schools, we are investing in the future viability of this community. Because we experience the public schools every day, we see the real, tangible work occurring within them, and we see beyond the state's very narrow definition of quality and success. We see all kinds of children learning and growing together. We've witnessed progress in many areas in recent years, and we advocate and work together for further improvements. I have never really been a football fan, but now that I have a daughter at University of Michigan, I find it impossible not to pay attention, at least a little. As I wrote this article, an Ann Arbor steakhouse was offering patrons a percentage discount by whatever point spread Michigan might win over Rutgers. Michigan won 78-0, which is a little more than was expected. How did the restaurant decide to make this offer? Did [the owners] look at data and then gamble how much they could afford to give up in profits versus the advertising they would get? Looking at past games with Rutgers, coupled with the individual players’ abilities, could they have predicted the point spread? As I wrote this article, teachers in the Cleveland Heights- University Heights schools were setting targets for how much our students will grow this year. Chopped leaves create a natural compost that’s good for your lawn. Chopped leaves will improve the tilth of your soil, allowing the roots of your grass, trees and shrubs to grow stronger, longer and deeper. Leaves add carbon to your soil that will act as a sponge for water, allowing roots to breathe during wet times and holding moisture during drought. Leaves feed soil microorganisms that create a strong, diverse, symbiotic soil community to improve your entire landscape. As a graduate of Heights High and mother to one current and one former student, I am a firm believer in our community’s public schools. My belief, however, is not blind; it is based on what I have seen and experienced as a parent and advocate over the past 13 years. My older son graduated from Heights High last year and has just begun college, where he continues to build upon what Heights instilled in him: the confidence to pursue his passions. Each year when football season ended, he would jump headlong into school and theater. Between the Heights drama department, clubs, sports, and community theaters, he had a wealth of opportunities to grow as an athlete and a performer, and he took advantage of all of it. My younger son has had a dramatically different experience. He was diagnosed with a brain abnormality known as Agenesis of the Corpus Callosum (ACC) when he was 7 months old. He faces numerous challenges, including difficulties with learning, language, motor coordination and understanding social cues. There is a false belief being perpetrated about tax levies for the CH-UH school district. To begin with, in over 90 percent of the districts in Ohio, operating tax levies expire after 3–5 years. Those districts have to go back to voters to request the same millage level (such as a "replacement" levy), or to increase the millage to cover unexpected, often short-term, expenses (typically called "addition" levies), every 3–5 years. The reasoning is that the districts are supposed to have demonstrated good stewardship of the money they are given to educate children in order to keep getting that much money or more "additional" money. Once a levy is passed, the dollar amount that millage provides [to] the district remains unchanged during the life of that levy—typically 3–5 years. Many parents and guardians want to support their students in school, but may not always know what to do. School is not the same for students today; what students are responsible for has changed significantly over my career teaching in the CH-UH City School District. Organization: Students may require help staying organized. Sometimes they need help creating a system where they can find their work. Help students by asking these questions: Do they know how to use a folder or notebook? Do they have a single place where completed assignments go? How do they remember what was assigned—are they using a planner or some other tracking tool? Conservatives prefer local control over governmental [entities]. In public education, Washington and Columbus do not dictate to our community—we get to decide right here what kind of schools we have.